The Fox House in Central California. Fletcher + Hardoin Architects. 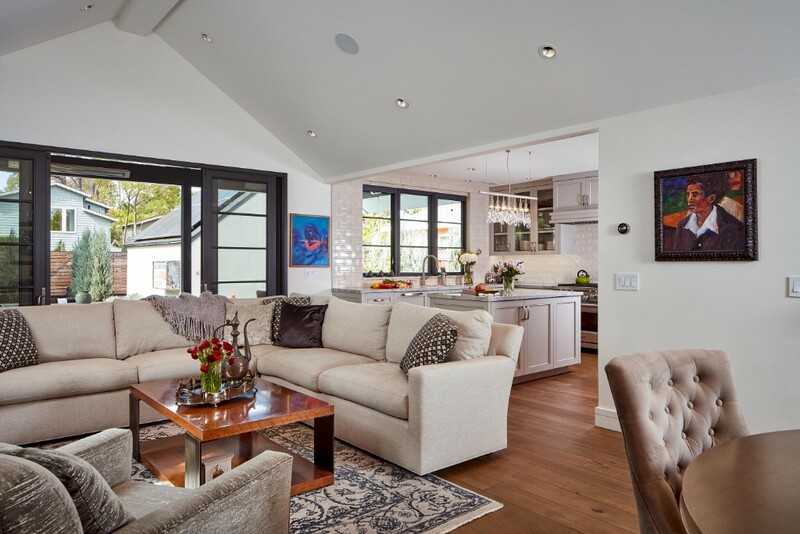 Interiors by Jorie Clark Design. Tucked away on the expansive central California Coast is the Santa Lucia Preserve. It is an old rancho that stretches from the ocean to the edge of the Santa Lucia mountains. It is slowly being developed into estate class homes on five to forty acre parcels. 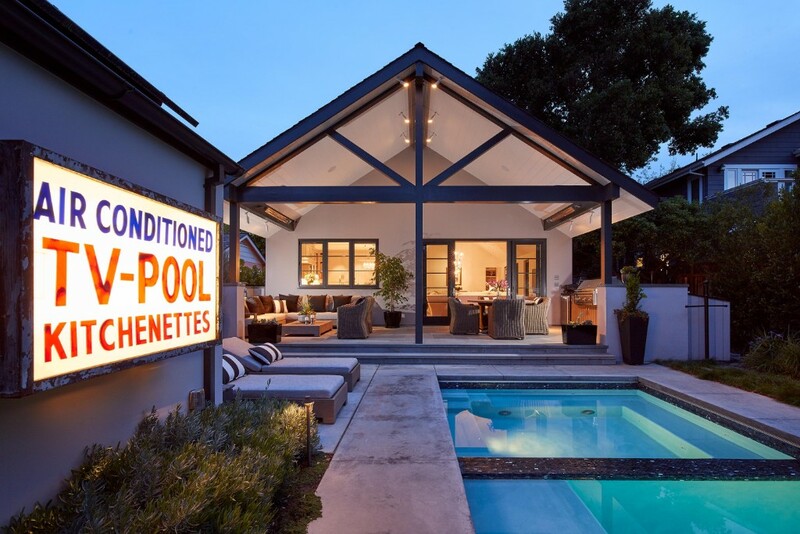 As architectural styles have changed, so have the houses being built there, opening up opportunities for modernist architects and interior designers to exercise their talents. This past spring I was asked to shoot an elegant modern house by architect Dan Fletcher and interior designer Jorie Clark, two old friends. Being stuck for two days in a gorgeous house set in a stately redwood grove in the middle of nowhere was a challenge, but someone had to do it. LOL. Both Dan and Jorie are well traveled designers with years of experience. 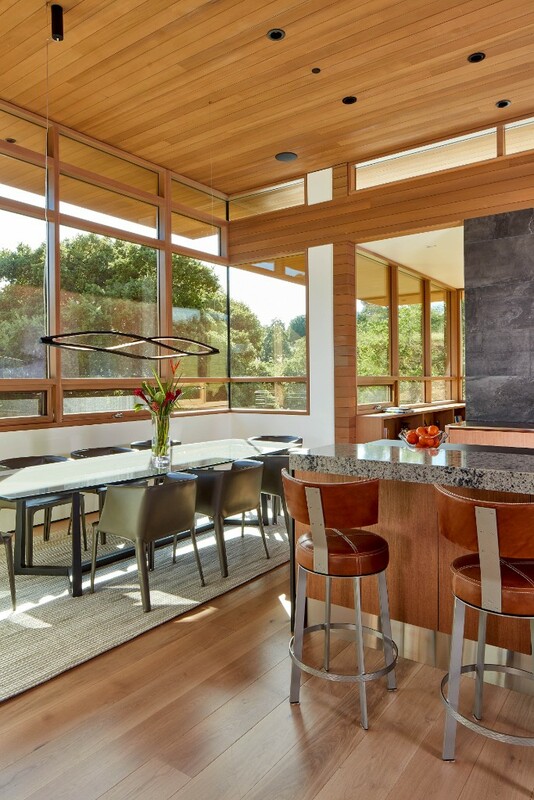 They have worked in Monterey and Carmel for decades honing their skills in residential and hospitality design. All this was on display at the Fox house in the Preserve. 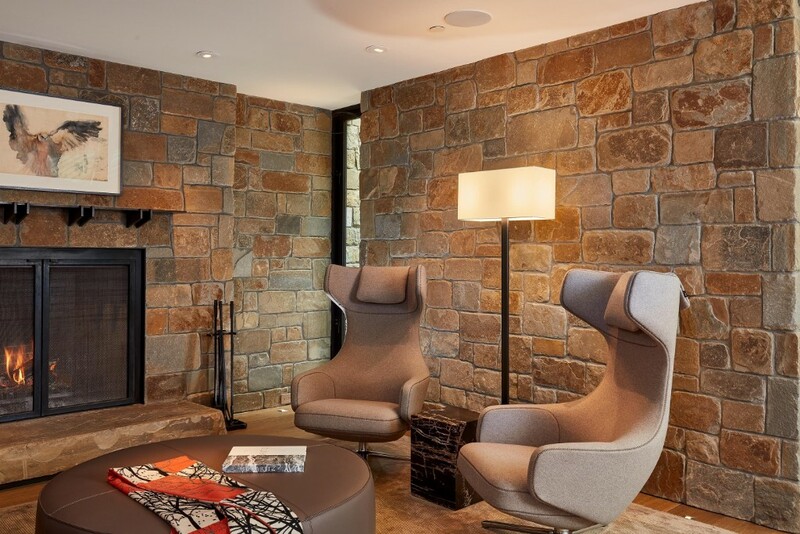 Floor to ceiling glass meets stone walls and Belgian oak floors. Classic modern furniture sits on handmade rugs with native American art pieces on the shelves. 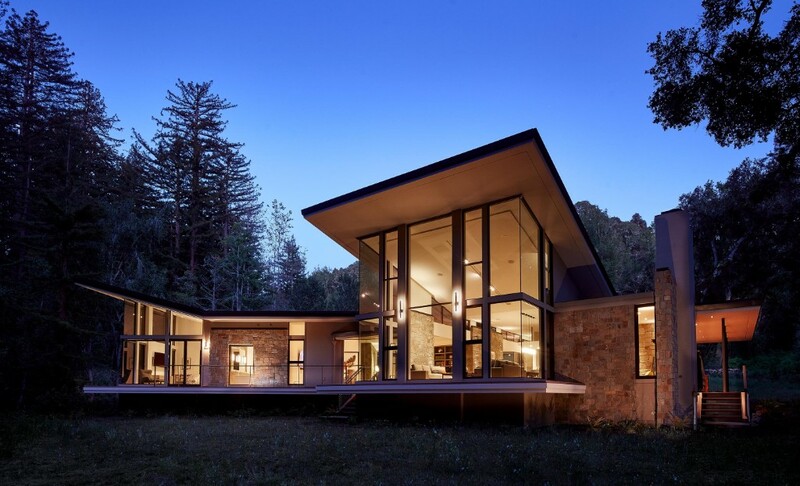 Quite the retreat for nature lovers. 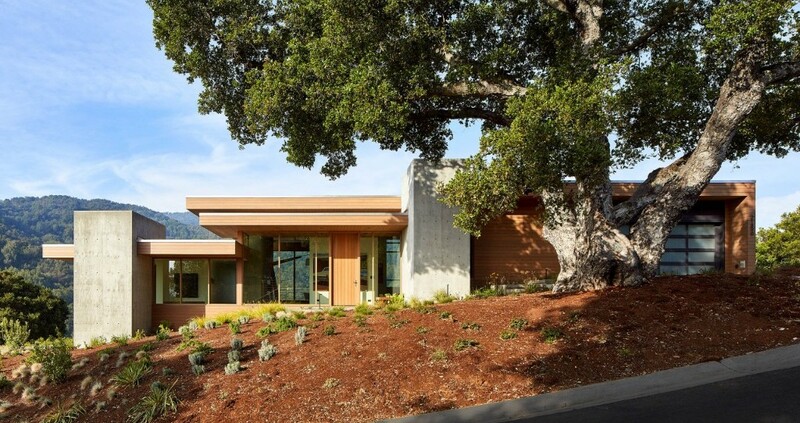 As dense and urban as coastal California is, it is always amazing to me that 15 minutes from Palo Alto, one can find a mountaintop building site and have one of northern California's leading architects build a modern retreat. 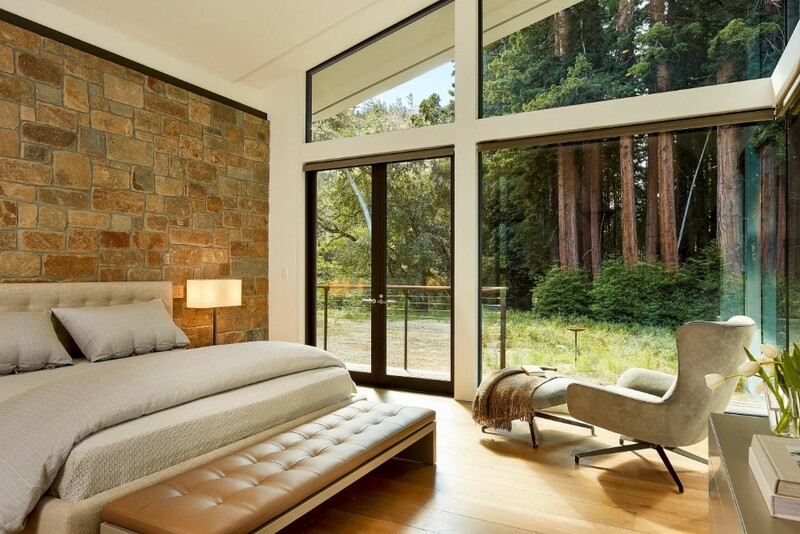 This couple chose Bob Swatt, F.A.I.A., to design their house up a country road in Los Altos Hills, close to Stanford where he teaches. 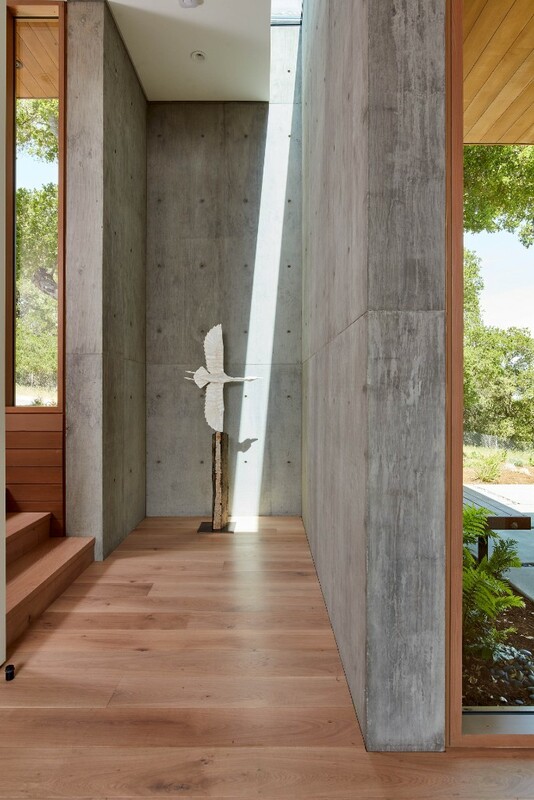 This somewhat spartan exercise in concrete, wood and glass sits on a quiet hillside that overlooks a wooded glen and the leading edge of the Santa Cruz Range. This is not a big house with the main floor occupying most of the active public space. A spectacular selection of contemporary art hangs on the few walls in the house. 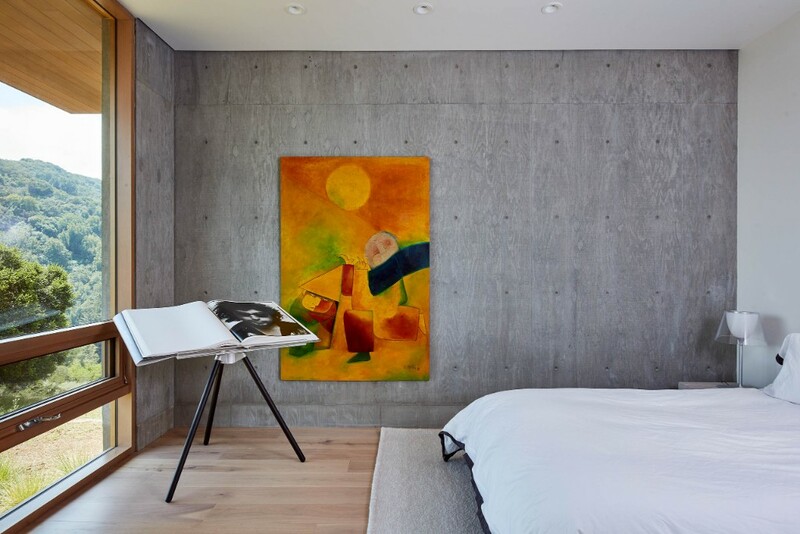 Swatt is fond of exposed concrete with poured in place walls a part of almost every room. 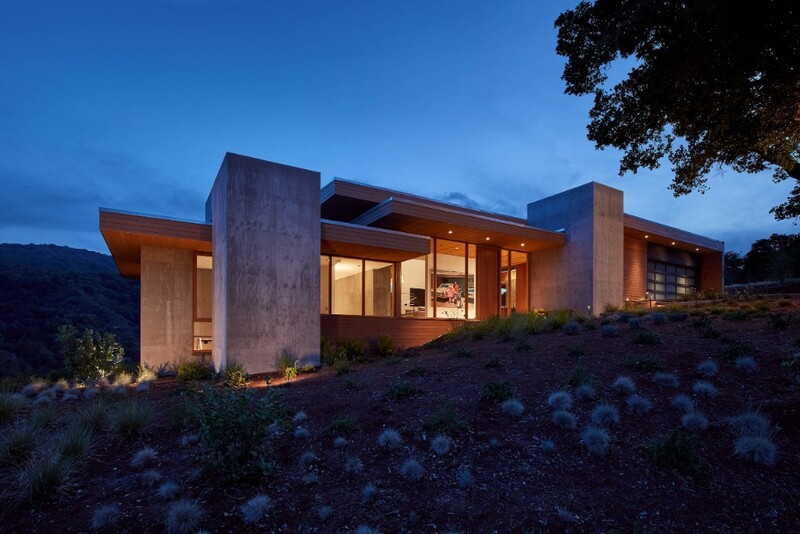 Los Altos home by Swatt | Miers Architects. FGY are influential but under appreciated architects in Palo Alto. Their office is one of the most active residential ones on the Peninsula. 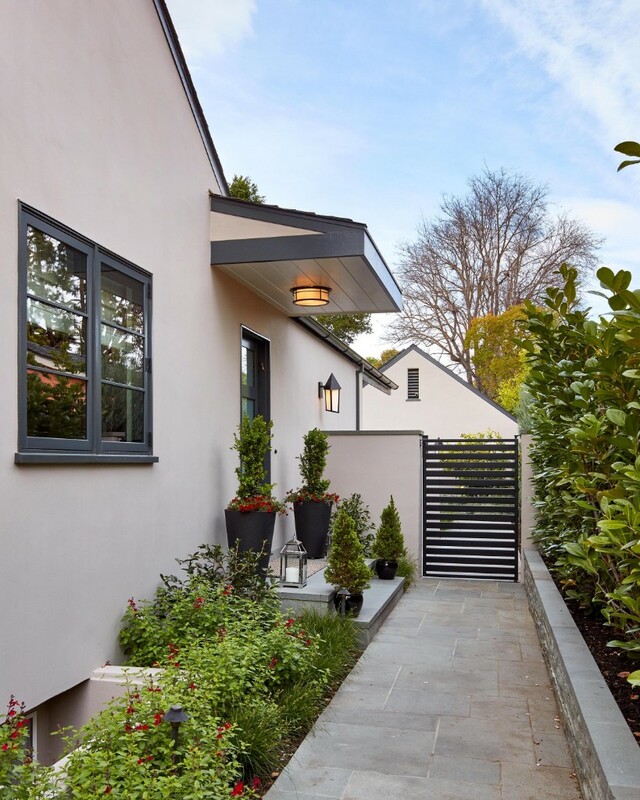 This south Palo Alto remodel is a dramatic remake of a modest, merchant-built house from the 1940s. Catharine Garber, the lead architect, kept most of the shell building, but gutted it and cleverly flipped the floor plan so that the main living space faced the re-imagined back of the house. 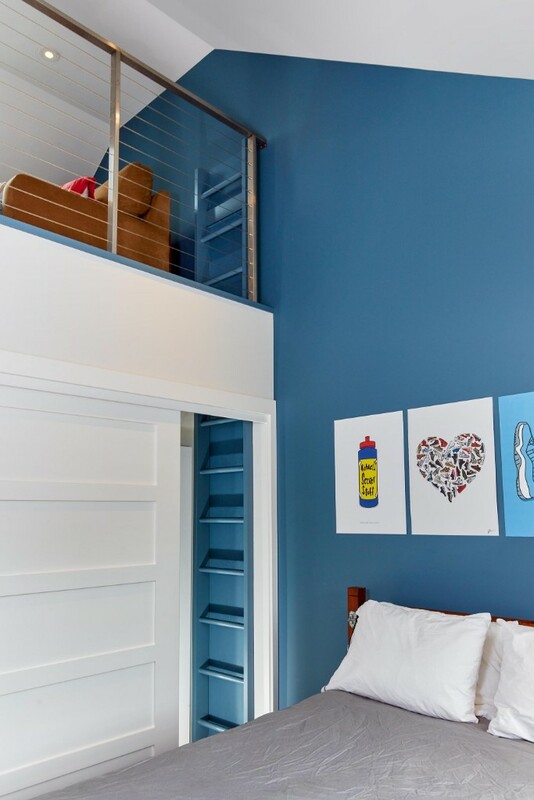 She moved the bedrooms to the front, found some extra living space in the second story gable and created a new entry on the side down a cozy walkway. 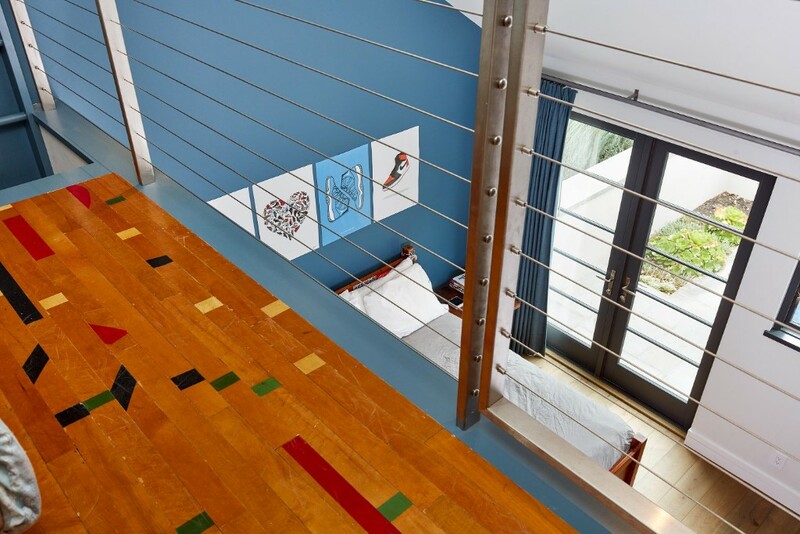 Garber did all this inside a 2000 square foot floor plan. She also found a space for some of the owner's quirky sign collection. 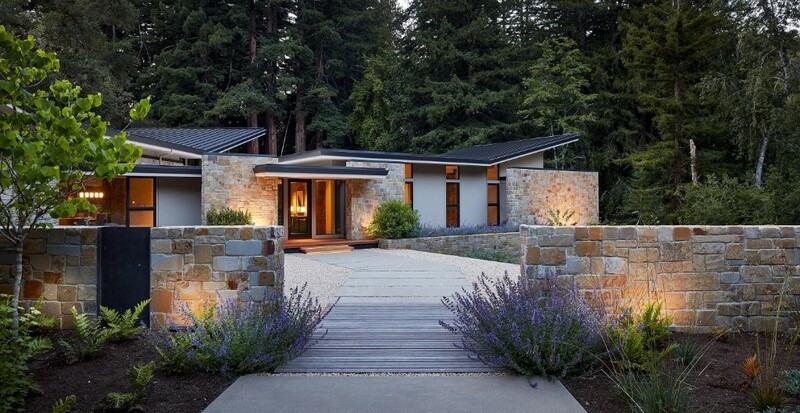 Palo Alto residence by FGY Architects.